The PADI Divemaster course is tailored to your specific requirements. If you are a PADI Rescue Diver with 40 logged dives then you're ready to start the course, otherwise we can get you up to speed by completing any courses or training you need, or taking you fun diving to increase your number of dives! We aren't a massive operation churning out hundreds of new Divemasters each year, taking on only a handful each year. We are a small shop with a close knit team, and we look forward to welcoming you to the family. You'll come away with a much more comprehensive knowledge and understanding, learning everything you need to know to begin working in the dive industry, in fact we pride ourselves at Beachfront in giving you the best possible start. As a Divemaster graduate from the Beachfront Academy, you may be the best of the best, but we'll make you better. Learning everything you need to know acting as wingman to your instructor (OK, enough with the Top-Gun, but you get the idea). As a DMT you will get your first insight as to how the SCUBA diving industry works. You will be working closely with your instructor, completing theory with them as well as assisting with teaching and guiding. There are also a series of practical elements to increase your comfort in the water and prepare you for diving professionally. Our Zero to Hero package is for those with little or no previous diving experience. We'll be with you every step of the way as your confidence and experience grows, until you become a certified PADI Pro. If you're on a tight schedule then this can be completed in as little as 3 months. There are lots of elements that make up a successful dive shop, and we'd love to be able to make the most of your existing skills as well. From marketing graduates to mechanics, we're sure we'll have as much to learn from you as you will from us! 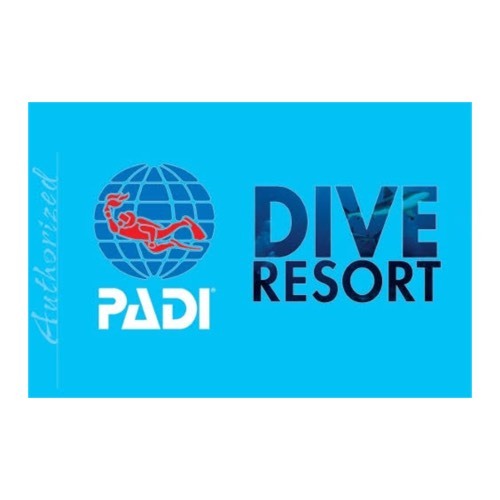 As a DMT we will have you in the water and out on the boat as much as possible, with hands on learning at the centre of the PADI Divemaster course. You'll also be living and working in one of the most picturesque places on the planet, and with pretty much 8 months of sunshine and calm waters every year we think you'll be hard pushed to find another place like it. After completing the course we will also give you the chance to work for us guiding customers around Phi Phi's stunning reefs.